Many of us believe there are forces in the universe that cannot easily be explained. This belief is based on occurrences in our every day lives that defy logical or scientific explanation. A pair of twins, separated by birth and living hundreds of miles apart, feel each other's pain. A mother "senses" something is wrong and rushes into the kitchen to find her toddler playing with a sharp knife that had previously fallen behind a counter. A police officer rushes into a burning building and "instinctively" knows in which room the two children are trapped. A blind man, sitting beside his pool, hears a splash and realizes his little girl has fallen into the water. With no one else around, he jumps in after her. But because there is no splashing or any other sounds, he has no idea where she is. So he stops moving and lets his senses guide him to the child who was several feet under water. Paranormal activity is real. It exists. And many of us believe it is there to assist us. But we must know whom to ask. A skilled practitioner of the Paranormal can focus his energy to summon these mystical forces to perform on your behalf. But first of all, let's see if you have personally experienced the paranormal. Most likely you've had many. A specific person immediately pops into your mind and it's someone you haven't spoken to in quite awhile. Seconds later the phone rings and it's that very person. You are having a conversation with someone and each of you starts to say the identical thing on a completely different subject - at the same time. In a crowded room, you are looking at someone who is standing perhaps twenty feet away. And when this person catches your gaze, he looks directly into your eyes, as if the two of you are connected by a laser beam. His eyes didn't look at your legs or your torso and work their way up to your eyes, they were directed right into your line of eyesight from the very beginning. Coincidence? Perhaps. But many of us believe these things occur all too often to be a coincidence. Paranormal activities refer to experiences that lie outside the range of scientific explanation. And if you believe there are forces - powerful forces - that exist despite the fact we cannot see nor explain them, then you have come to the right place. Here at the California Astrology Association, we have someone on our staff who specializes in casting Paranormal spells on behalf of our clients. 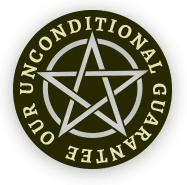 So if you are experiencing difficulties in your love life, or at work, or perhaps in your bank account - or maybe you are in the midst of a string of bad luck - you should take a look at the various Paranormal Spellcasting services we provide for our clients. This spell is designed to heighten and increase the intensity of your romance, whether it be with a long time partner or a new love. The Paranormal Romance spell is for you if your loved one is not reciprocating your love or is perhaps looking elsewhere for satisfaction. If your loved one is out of the house and living elsewhere, this powerful spell is designed to implant the seeds of reconciliation. The purpose of the Paranormal Return to Me spell is to lower the barriers between the two of you so your loved one can focus on the important positive aspects of your relationship. If your bank account is nearing rock bottom, this potent spell is designed to help lead you to the gates of prosperity. The Paranormal Cash spell hopefully places you in the right place at the right time�and soon your financial woes could turn to financial bliss. Although it is not our purpose to be destructive, sometimes a relationship is doomed to fail regardless of our wishes or efforts. This powerful spell is designed to speed up the process. So if you are aware of a relationship that will eventually dissolve, the Paranormal Breakup spell should be of interest to you. If your luck has not been good lately and you are seeking to turn it around on a dime, this potent spell could be your answer to bringing back the "good times." So if romance is not going well and your bank account is dropping, the Paranormal Good Times spell is designed to give you a very needed lift.